This may make uncomfortable, even shocking, reading but I would be interested to gather opinions, including your own. You will find the words: ‘eviction, deportation ... murder, fascism … ethnic cleansing … apartheid … genocide …’, and yes, this is 2013. 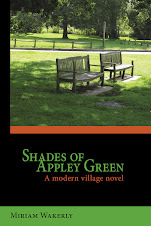 Gypsies Stop tHere has an Eastern European character, vital to the plot, who is a Roma immigrant in Britain. No Gypsies Served goes a little further in drawing attention to extreme racism prevalent in parts of Europe. The reality, however, is much worse, as this post reveals. A few days ago, I received an email from Grattan Puxon; you may have seen him on TV in 2011 during the global coverage of the eviction of Irish Travellers from Dale Farm, Billericay, Essex. I was interviewed on BBC Surrey Radio during this debacle; although the recording is no longer available the comments it triggered are still here on the Surrey Heath Residents' Blog: Miriam Wakerly talks about Dale Farm on BBC Surrey Radio They provide some background to the Dale Farm situation that is not widely known. As ever, with Traveller issues, opinions and emotions run high. Gratton Puxon was a founder of the Gypsy Council back in l966, which in turned hosted the 1st World Romani Congress in 1971. He was elected general secretary and served up until the 3rd Congress in Germany in 1981. He lived in Eastern Europe for some 20 years and, through marriage, speaks and writes Romanes. 02/03/2013 - The ugly emergence of enhanced anti-Roma racism is drawing a more united response from the various elements of the Romani movement as we prepare together to mark the 42nd Roma Nation Day. With a month to go, events in many countries have already been announced. Among them a congress in Romania; a protest camp in Brussels; in Strasbourg an exhibition on segregation in Czech schools; a film festival in Skopje, and in Kosovo a Western Balkans media conference. One of the most impactful simply because of its location is likely to be the encampment close to the European Parliament, promoted by Amnesty and ERIO. Billed as an International Roma Day manifestation it could stimulate fresh thinking by some backsliding MEPs and the EU Commission. 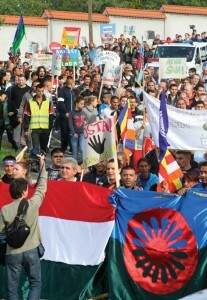 On the other side of Europe, the IRU confirms that it will be holding the 8th World Romani Congress in Sibiu, Romania. The organizers aim to restore vitality to this once pre-eminent institution and place it again in the vanguard. But they have left themselves short on time. There is more than geographical distance between those two events. Both however are rallying followers to a common standard, the Romani national flag. The flag's wide recognition is reflected in the fact that it is now featured on the stock lists of commercial flag-makers. Across Germany, thanks to the youth of the European Roma Movement, Yag Bari and Alle Bleiben, thousands of balloons in the flag’s blue, green and red colours will be released on 7 and 8 April. According to the Roma Center, a dozen cities are to see them fly, including Berlin, Hamburg and Koln. This act of solidarity in face of what some are calling the start of a second Samudaripe is being copied in other countries where to those suffering eviction, deportation and murder similarities between today and the fascism of the 1930s are self-evident. Nowhere has present era ethnic-cleansing of Roma been on a greater scale than in Kosovo where in front of NATO forces some 100,000 were driven from their homes. It could be said that the Pristina conference on Roma and the Public Service Media is taking place over the now cold ashes of those many lost homes and lives. Central to the protests, though far from the largest, is the London Roma Nation Day event on Sunday, 7 April. This brings together Roma from six countries now in the UK and will climax with the picketing of numerous embassies. The intention is to expose the scores of neo-Nazi and police murders and the lack of progress during the Decade of Roma Inclusion, including the failure to end apartheid in education. Paris, Budapest, Bucharest, Belgrade, Zagreb, Sarajevo, Genoa, Barcelona, San Francisco, Houston, Buenos Aires, Rio and many more towns and cities will be the scene of demonstrations and varied happenings. The latter include the exhibition in Strasbourg on the Roma genocide mounted by the ERTF and the OSI. Outlook and terminology may differ but thousands of activists in Romani political parties, international organizations and NGOs, are working to make this the biggest 8 April mobilization yet. All of us agree than in a year proclaimed as the EU Year of the Citizen, the time has come for ructions in the streets that cannot be ignored. The Roma spring is close at hand. 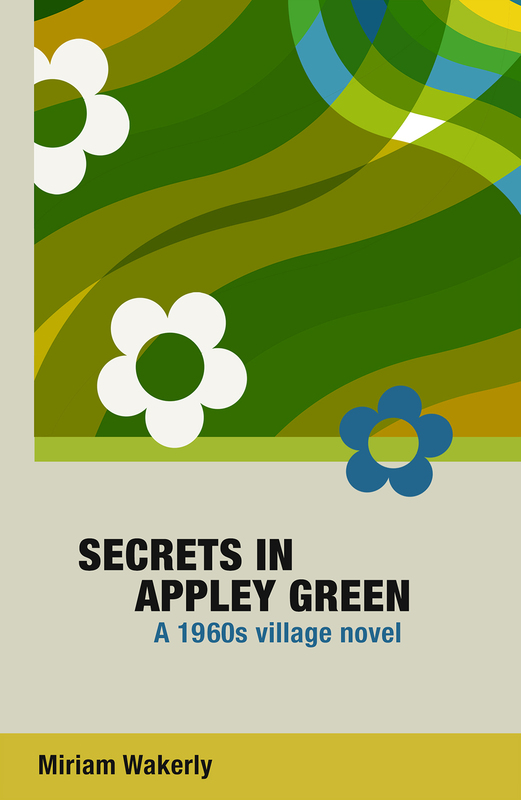 You may be wondering what the Irish Travellers of Dale Farm have to do with this uprising. Gratton Puxon gave me an update. He says, ‘Dale Farm residents were evicted from their own yards on 19 Oct 2011 - after riot police charged in firing tasers - moved only onto the private Oak Lane which leads into the estate. Most still have their trailers on the side of the road there. Basildon Borough Council appear to be ready to grant outline planning permission for a l5-pitch trailer park on land belonging to the Homes and Communities Agency at Gardiners Way. But there are some 90 families who need a legal place to stop. The Dale Farm Residents Association (I'm secretary) put in a planning application for another trailer park at Church Road, Laindon. [These are both close to DF]. Meanwhile, after complaints from our side the Environmental Agency report that there is an asbestos hazard due to the council digging up the "illegal" yards and creating huge holes surrounded by massive earth banks. It is estimated they moved 150,000 tonnes of earth and debris - all to prevent owners returning and thus illegally blocking people’s right of way. Please note that the first people picked on for this ethnic-cleansing were Romani families at nearby Hovefields, incuding the Taylors and Boswells. If there are any parallels or conclusions to be drawn then I leave you to do that for yourself.